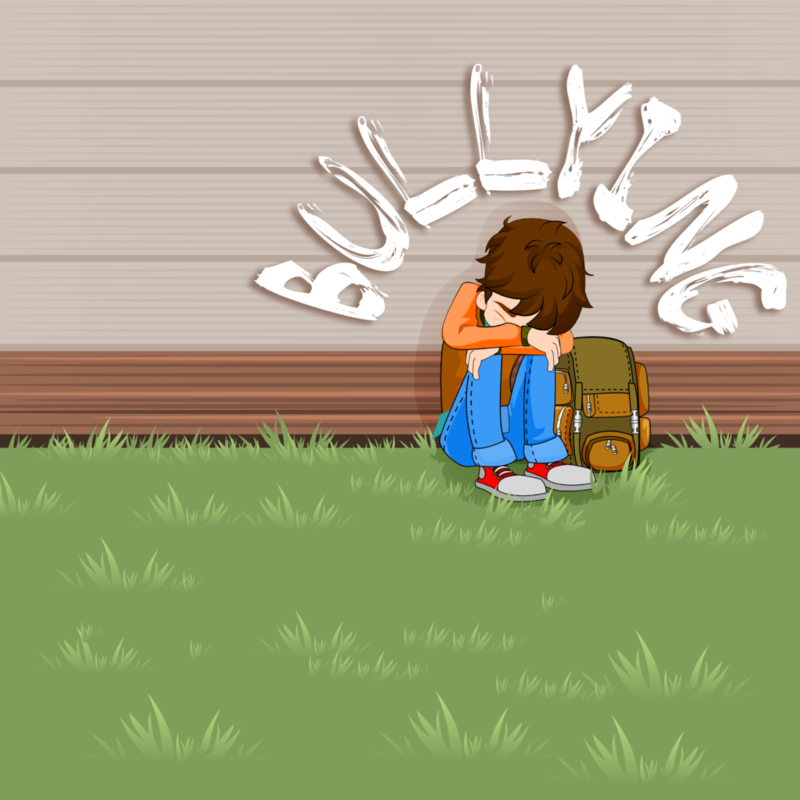 While keeping a good line of communication open between you and your child’s school is vital to addressing and preventing bullying, there are also some steps you can take with your child to arm them with skills and strategies to stop bullying – or make them less likely to be targeted in the first place. Former school principal and teacher of 25 years Simon da Roza provides his top 3 tips for parents looking to give their child the best chance of preventing – and dealing with – bullying in the early years of life. Ensure your child is playing with someone or being with someone – preferably another student – during times when bullying may be likely to occur, such as playground time, travelling to and from school or transitions between playground and the classroom. Kids with friends are less likely to be bullied. Children alone become easier targets. Help your child build friendships by having playdates or doing activities with peers they like on the weekend or holidays. Joining sporting teams outside of school with kids from your childs’ school can help extend and broadened your childs’ peer group and decrease the chance of being alone in the playground if there is a falling out with class based friends. Relationships with peers, siblings and family adult friends are integral to a child developing a positive self esteem and self concept. Participation in sport, clubs, chess, public speaking, self defence classes, engineer groups, craft clubs are incredibly helpful. Being good at something – anything – can add to a child’s self esteem, and if a child has a good self esteem they will show this in strong confident body language, strong (but not rude) eye contact and in the language and words they choose. They will also cultivate broader social networks. A) Teach how to be a good friend and a member of a group, by explicitly discussing taking turns, respecting personal space, hygiene and basic problem solving skills and recognising facial expressions and tone. Observing your child during playdates can provide insight into what they need to work on; but sometimes children behave very differently when faced with group situations like school, so ask your child’s teacher to observe their interaction and give you some tips on what they could work on at home to build their communication skills. B) Have the bullying conversations before any bullying occurs. 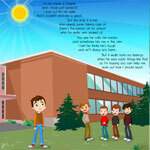 Define bullying and the various forms it can take. Discuss how bystanders can have a dramatic effect on decreasing bullying have these as informal conversations on regular basis in the car going somewhere, shopping whilst working in the yard together. When talking with boys you will find a side by side conversation much more effective. Role play situations and responses so they have previous practice to draw upon when their adrenalin kicks in during a real life confrontation. There are many ways to approach the issue of bullying with your child. Keeping the message simple but effective is the challenge! This book provides an easy-to-understand storyline that discusses the impact of bullying and how your child can deal with it in a healthy, constructive manner. 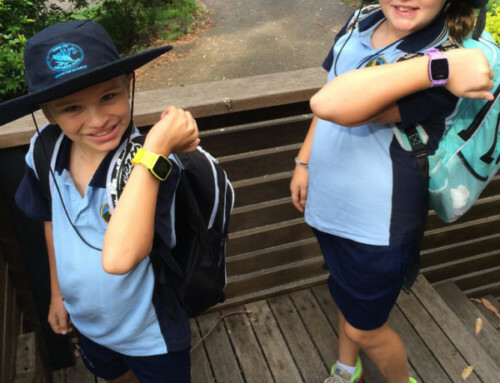 Many TicTocTrack parents help build their kids’ confidence and independence by showing them how to use the watch when they feel unsafe or are experiencing bullying and are unable to seek the help of a nearby adult. 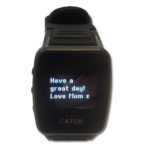 The watch allows the child to call their parent or carer if they are being harassed or bullied. 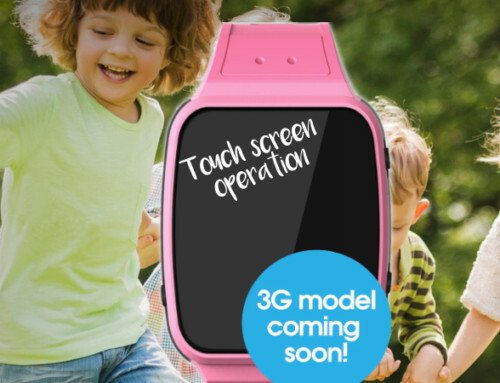 If the child feels they are in danger, or in situations where a child might not want to alert the bully to the fact that they are wearing a smartwatch, they can press the SOS button to immediately alert their parents to the fact that they are at risk, and their location.